Journal & Notes to self. Confessions & Ramblings of a Crafty Grandmother ...and how crafting keeps her sane!! When I saw the theme for this month's challenge was sport I thought of some cute Lili of the Valley stamps I had bought recently. It was going to be something different for me because I am not very confident about my colouring in compared to the amazing work that we are used to seeing on F&F. I played about with some papers that were a freebie with a magazine and some spellbinders dies.... then I remembered I had some scrabble type letters amongst my stash, a bit of bakers twine and I was done. 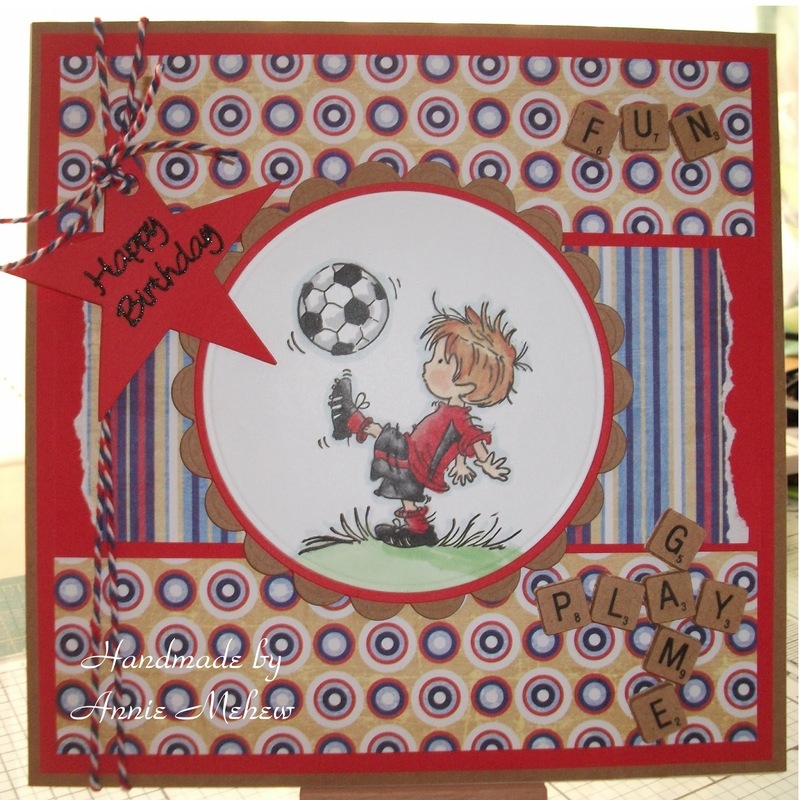 So now all I have to do is wait to find a footie mad little birthday boy to give it to, I must say I really enjoyed colouring in this cute little image, ... I am definitely going to get some more practice in. Hey.. Annie your colouring is brill! He is so cute too! Hi Annie! This is such a FUN card! I love how you tore the edges of your design paper and those scrabble pieces are ADORABLE! Love it! I hope that your having a great weekend! Follow Annie's board craftybitz on Pinterest. 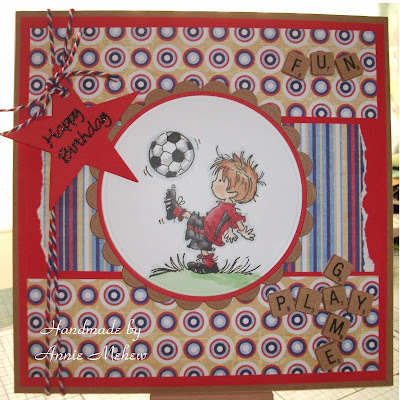 Template background by Annie Mehew. Picture Window theme. Powered by Blogger.